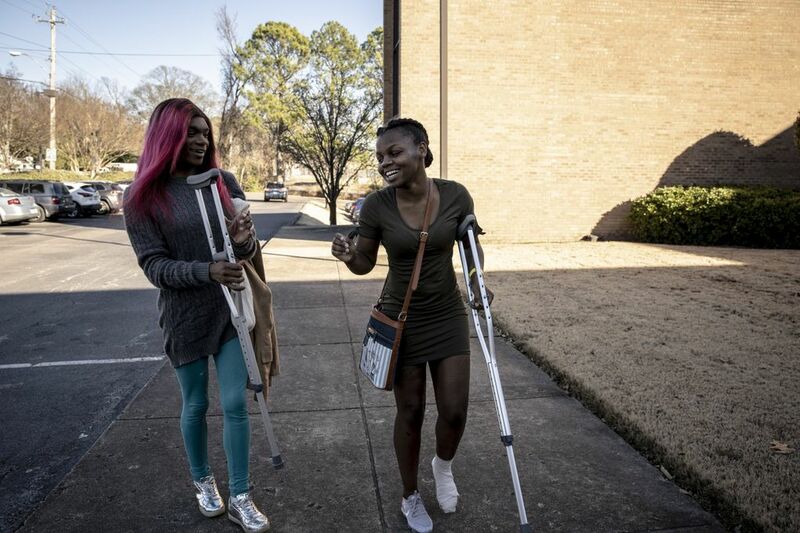 MEMPHIS, Tennessee — Terrineka Maxwell is only 19, but she’s already had a lot of people come in and out of her life: 20 foster families since she was taken from her mom at 2, and at least seven caseworkers in the past seven years. But her newest caseworker, Cindy Walker, is supposed to be different. 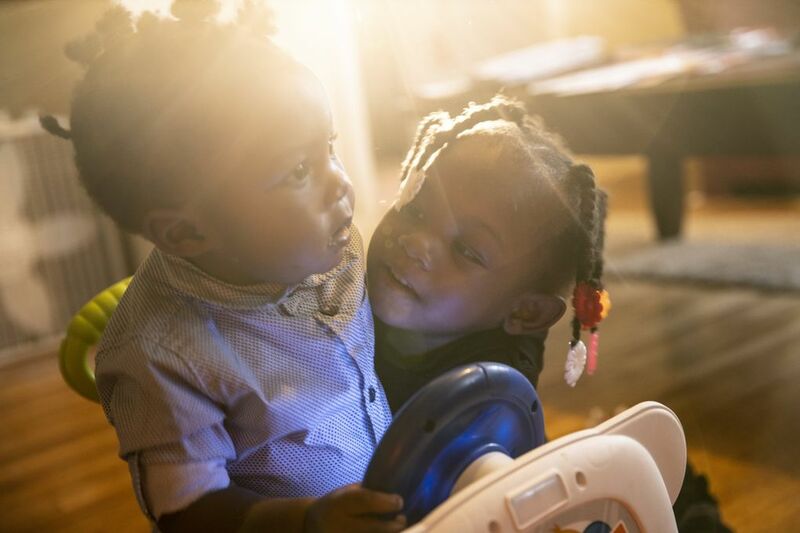 Unlike most previous caseworkers, whose job was to help Maxwell grow up healthy and safe, Walker’s job is to help Maxwell, who’s now a young mom with a 10-month-old, launch into adulthood. On a recent morning, Maxwell had left her infant car seat in her brother’s car, and Walker — who’s also a mom — didn’t have hers. If Walker had been one of the other caseworkers, she might have fixed it herself. Instead she looked to Maxwell to figure it out. As Maxwell went to ask a friend to watch her baby, Walker shrugged. This is a small moment, but it is part of a big strategy to reduce youth homelessness. Across the country, young people who get too old for foster care fall into homelessness at appalling rates. 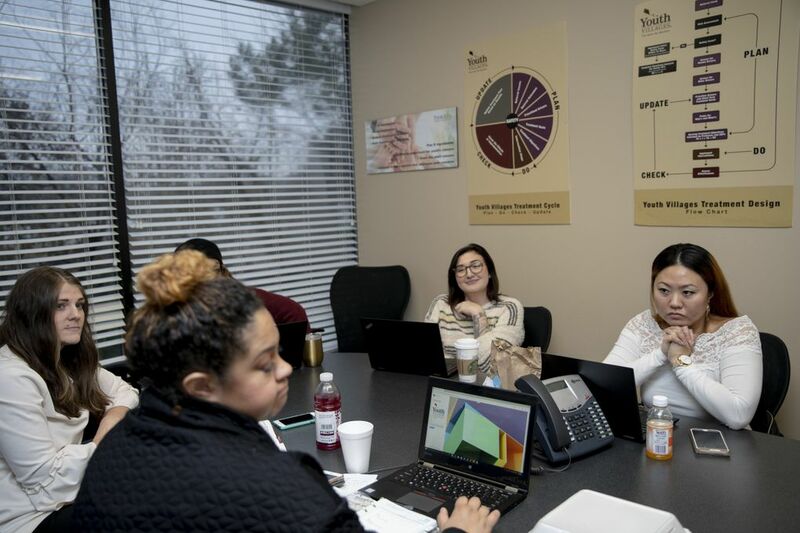 Tennessee has found success by spending more on caseworkers, who can then spend more time helping them get jobs, apply for school and learn how to keep an apartment. Tennessee’s effort has some of the clearest evidence of success in the country, and without providing housing. Former foster kids in this program make more money, have better mental health and are less likely to be homeless, according to research. It’s been successful enough that in Washington state, lawmakers — focused this session on homelessness — are considering copying Tennessee’s model and expanding it beyond a small, privately funded pilot project in King County. Lawmakers have long been aware of the foster-care-to-homelessness pipeline: More than a third of foster kids in Washington become homeless within a year of aging out of the system at age 18, a 2013 state report said. Last year, 355 kids turned 18 while in foster care in Washington. In King County, foster kids become a sizable chunk of the homeless population. In a survey last year, 17 percent of homeless people said they’d been in foster care, and 2 percent said they were in a foster home right before becoming homeless. The Tennessee model that Washington is considering, called YVLifeSet, focuses on one of the most key relationships in social services: a youngster and their caseworker. Walker has only eight to 10 young adults in her caseload, allowing her to meet Maxwell every week for hours, and sometimes twice a week, in a role that looks like a highly involved parent. In contrast, the average caseload for a child-welfare worker in Washington is 19 kids; the Child Welfare League of America recommends 12 to 15. Dr. Mark Courtney, a nationally regarded social-services professor at the University of Chicago, concluded Tennessee’s approach is the only one he has studied that reduces homelessness among former foster kids without including housing as part of the program. And it usually achieves success in just seven to 12 months. This program could model how to teach someone to move beyond homelessness on their own. 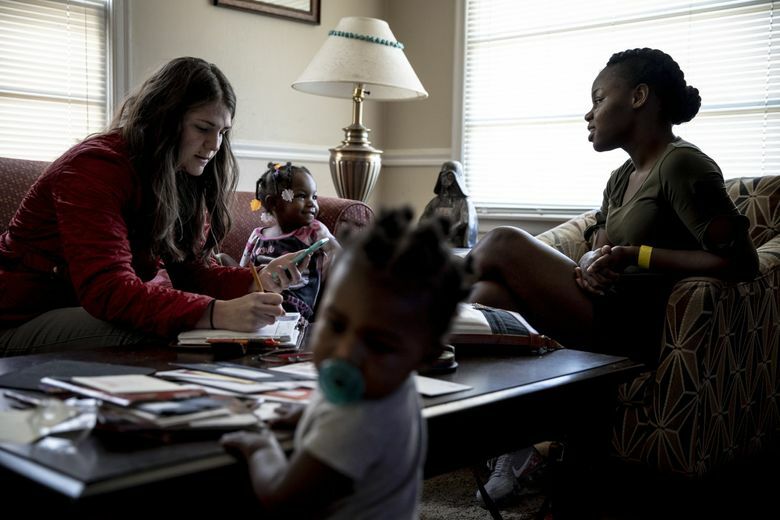 Until recently, Tennessee wouldn’t be considered a model for foster care. In 1999, a children’s advocacy group sued the state for failing kids. Some 2,000 children had each been placed with 10 or more foster families, and when they became adults they received little support. In 2001, the state settled with a promise to reboot its management and training. It was in this environment that Pat Lawler, president of Youth Villages, came to the state capital talking about a program for foster youth who were becoming adults. Lawler saw the foster-care system up close, working during college at juvenile court in Memphis. The prevailing philosophy at the time Lawler started was “command and control.” Kids in state custody had a lot of structure so they wouldn’t get into trouble, and when they became adults — “they’re gone, we’ve done our job,” Lawler said. Lawler created the nonprofit Youth Villages in 1987, but it wasn’t until years later when he had his real wake-up call: Data showed youths leaving his programs did poorly in the real world, ending up in jail and on the streets. He realized kids couldn’t just go from being dependent on the state to independent, with no one to help their transition. With money from a Mississippi philanthropist, the approach that became YVLifeSet was born. State funding came in 2005; the first client the state referred was a 19-year-old woman who’d already had two sets of twins and another child on the way. Today, Youth Villages has been instrumental in bringing Tennessee’s services in line with court-ordered reforms, according to Mike Leach, deputy commissioner of Tennessee Department of Children’s Services (DCS). 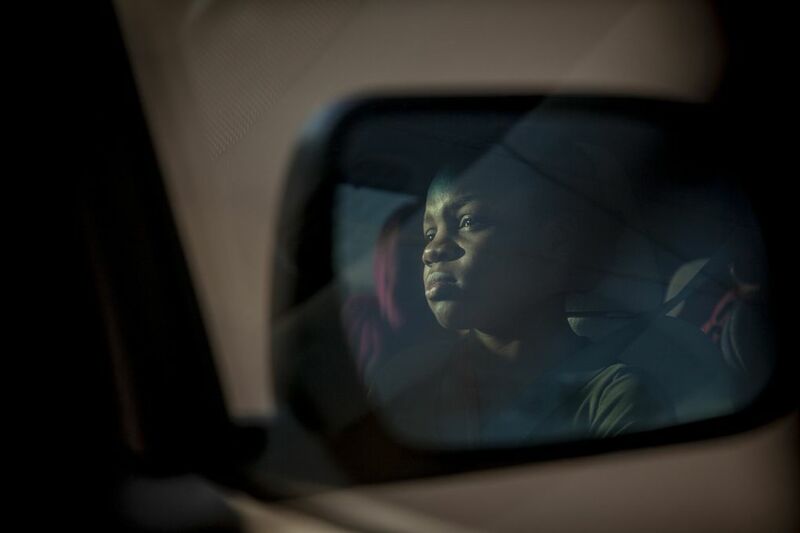 Tennessee’s foster youth experience homelessness 15 percent less often than Washington’s. In the meantime, Lawler built Youth Villages into a national nonprofit, with a presence in 16 states, accolades from Harvard Business School and President Obama’s White House, and hundreds of millions in revenue a year. This year, Louisiana and Washington, D.C., are starting up teams of child-welfare workers who use the YVLifeSet model. Walker and Maxwell drive past Memphis East High School, one of 11 schools Maxwell has gone to. At her senior prom there, a local TV station did a feel-good story on her, the foster kid in the bright pink dress. At the time, things were looking up. Maxwell was headed to college and study early childhood development. She had a boyfriend and a family to stay with. She exited the Youth Villages program. That was two years ago. She got pregnant in college, struggled with her classes, and her computer was stolen. In March of last year, struggling to find a place to stay, she came back and asked to be readmitted to the program. In the eyes of her and her caseworker, Maxwell has a big heart and bad friends. She’s been kicked out of apartments because she let friends who brought marijuana crash there, or invited an abusive boyfriend back into her life. She’s currently facing criminal charges for pepper-spraying her ex. Walker has tried to help her through this, but there are gaps between them. 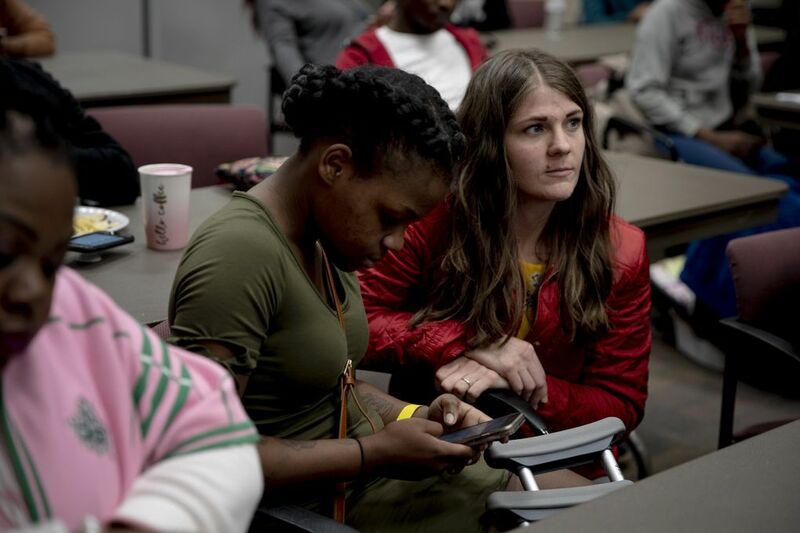 Maxwell grew up in Memphis, one of 13 kids, and like most of Youth Villages’ clients, she’s black; Walker grew up on a farm in North Dakota, also one of 13 kids, and like most of Youth Villages’ caseworkers, she’s white. Maxwell doesn’t always feel like Walker gets what she’s going through, despite the caseworker’s best efforts. “You can sit and listen to every kid on your caseload, but you’ll never really understand ’til you’ve been in that position,” Maxwell said. Lawler’s goal is to hire more black caseworkers; 62 percent of YV’s clients are black, while 27 percent of their caseworkers are. Almost two-thirds of YV’s caseworkers are white. To put herself in Maxwell’s shoes, Walker remembers the bad decisions she made when she was a freshman in college at the University of North Dakota, and imagines what would have happened if she hadn’t had anybody to guide her. But it’s hard to divert foster kids from homelessness. Washington allows foster kids to stay in foster families past age 18, but research by Courtney and his colleagues shows that just delays homelessness. The Youth Villages model relies on persuading state legislatures to match philanthropic contributions, but that has not worked yet in Washington. Two years ago, billionaires Steve and Connie Ballmer paid for a pilot project, with a team of four specialists and a supervisor formed to prove to lawmakers that the model can work here. So far they’ve served over 100 young people, around three-quarters of whom now have stable housing and are enrolled in education or are employed. Almost 90 percent had no involvement with the criminal-justice system while in the program. But while this model has been shown to work, Washington lawmakers will need to be convinced it’s cost-effective. In Tennessee, Courtney’s study concluded the program cost almost $12,000 per participant. Funding for more teams statewide was dropped from the proposed 2017 Washington state budget when the Washington State Institute on Public Policy (WSIPP), the Legislature’s in-house think tank, concluded it didn’t have a measurable return on investment. In fact, taxpayers would be losing almost $14,000 per young adult, according to the analysis, leading lawmakers to kill off the proposal. But Marna Miller, a senior researcher with WSIPP, said one reason for the negative finding was that there was no standard way to measure the future costs of a foster kid becoming homeless. That young person might become chronically homeless in 20 years and rack up hundreds of thousands of dollars in medical bills and court expenses, or they might not. Youth Villages has commissioned a study by the RAND Corporation to do another cost-benefit analysis. A preliminary version of that study shows a positive bottom line of about $1,000 per young adult for a baseline case. Washington Gov. Jay Inslee has included $1.3 million to expand YVLifeSet in his proposed 2019-21 budget. This investment in better case management is one reason Washington state legislators like Sen. Reuven Carlyle, D-Seattle, are considering it. Walker and Maxwell had a productive morning. They went to a food bank, then submitted an application at an apartment complex where Maxwell might be able to get a job showing apartments. Maxwell was excited: A job at an apartment complex means reduced rent. In the weeks after, real life would strike again. Maxwell wouldn’t get the apartment or the job; her ex-boyfriend would show up; she would lose her rented room. Walker jumped in and helped her get another apartment. This one was better: The owner gave Maxwell a second job, at a hot-wings restaurant she owns. Things are stable again, for now. For kids who’ve had nobody to depend on, it can be hard to get to a happy ending — and sometimes, having a job and a stable place to live for just a bit is the closest someone can get.